CivicWhitaker, Inc is joining The Bunker as one of their first Ramp Up companies. 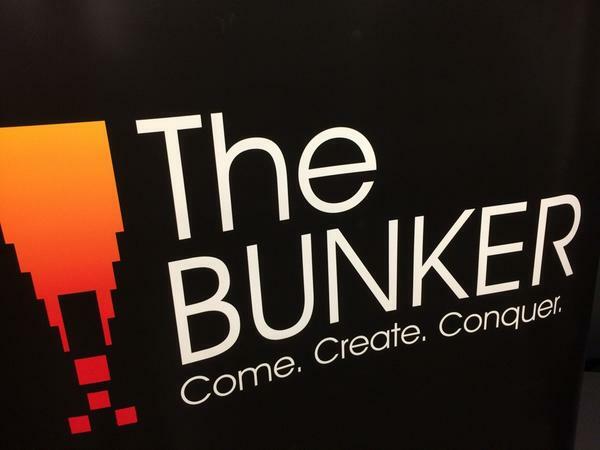 The Bunker is a non-profit business incubator that targets existing veteran owned tech startups and aspiring entrepreneurs to come, create, and conquer the business world through their ideas, hard work, and strategy. I’m honored to become a part of The Bunker and I’m very excited about starting this new chapter for a number of reasons. The first of which is that this is going to be very good for CivicWhitaker as a company. The company operates in a pretty unique and wonderful space. CivicWhitaker specializes in knowledge transfer and community organizing around leveraging the power of technology to help civic organizations. CivicWhitaker doesn’t build products, we help build relationships. We’re less interested in having 1 million customers and more interested in helping a smaller number of organizations have a deep impact in their communities. I’ve been fortunate to work two leading organizations in the space. Smart Chicago and Code for America. Between these two organizations, I’ve been able to be involved in a lot of projects that have had tremendous impact in cities. The space has been growing at a ridiculously fast pace. Despite that, there’s still a huge amount of work to do. So much, that in order to achieve our mission we have to grow. Currently, my company is just one person. The amount of work we’d like to be doing is beyond the work that can realistically done by one person. We have to grow. It’s much harder to scale a consultancy than it is a startup. A startup simply needs to get more users. A consultancy has to have enough revenue to enable the hiring of additional staff. Getting that new revenue means taking on more work before you actually have the staff to do more work. It’s one of the tough business problems that can be tricky for first time entrepreneurs. Being part of the Bunker means that I am going to be getting help with that. Having access to the Bunker’s network of mentors and professional development is going to be key to helping my company grow. In particular, it’s going to be tremendously useful to have contacts and mentors that are outside my field and can give our operations a fresh look. I’m also a big believer in the Bunker’s mission. One of the things that’s frustrated me about veterans employment effort is that there’s a bit of a skill mismatch in some of the more prominent campaigns from Uber and Walmart. So, you’ve just got back from fixing million dollar machines/disarming bombs/leading troops/patching people up on the battlefield and the job offer is driving a car around? Or bagging groceries? I mean -sure- I appreciate what these companies are doing. As somebody who used to work on the front lines at the unemployment office, I always like to see people getting hired. (Or in Uber’s case contracted since they don’t actually make direct hires.) However, it seems like a waste of talent to bring somebody whose tackled some of the toughest problem sets around and ask them to be drivers. The Bunker will provide veterans with opportunities to take those same leadership and problem solving skills to create new companies (that will hire more people) and become part of Chicago’s growing and thriving technology scene. I’m super excited to be part of this effort. You can follow updates on The Bunker on their website and on Twitter.